6 months & up. 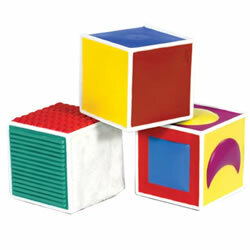 Soft and safe, this set of 6 foam filled, fabric cubes are ideal for squeezing, throwing and building. 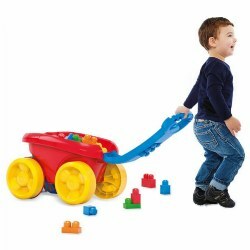 Features farm and jungle animals along with counting critters from 1-6. Machine washable. Birth & up. 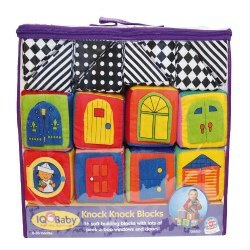 Sixteen soft building blocks with lots of peek-a-boo windows and doors to build with. 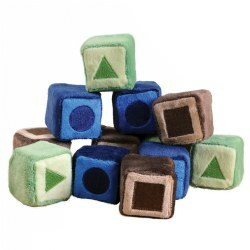 Eight colored blocks, eight black and white. 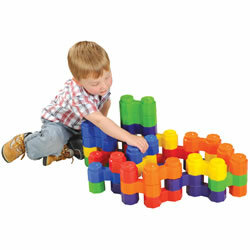 All blocks have textures for little fingers and mouths to explore. 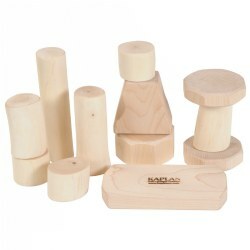 Some blocks rattle and others make a crinkle sound as they are squeezed. Surface washable. 10 months & up. 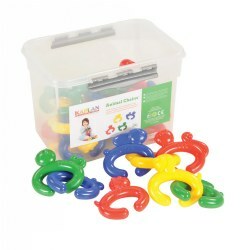 Connect the cute animals and build fine motor skills as children create a colorful chain. 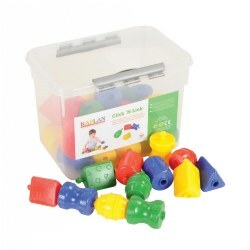 Set includes 24 animal links approximately 4" long with a storage tub. 2 years & up. 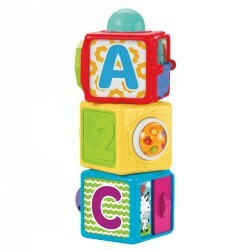 Introduces size, shape, and all 26 letters of the alphabet. 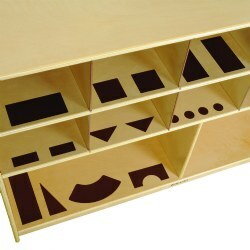 Different letters and textures on each panel. 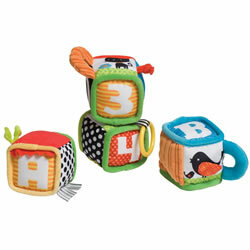 Stack them, nest them inside one another, or reverse the cube for another design and texture. Colors and fabrics may vary. 9 months & up. Double the size for double the fun! 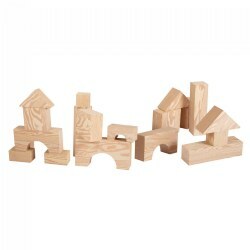 Children of all developmental levels will enjoy creating structures with these wood-like blocks. 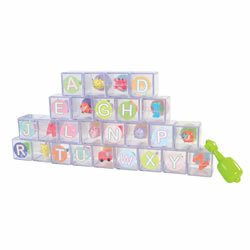 This 32 piece set includes soft durable foam blocks ranging from 3" x 3" to 12" x 6". 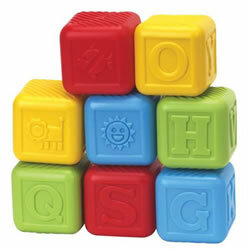 Blocks are 2 3/4" thick. Birth & up. 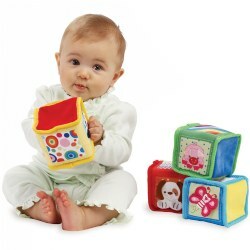 Babies will have fun exploring, tossing, shaking, stacking and holding these colorful and soft baby blocks. 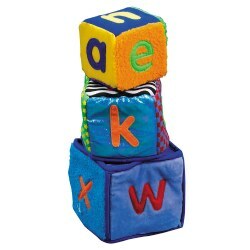 Features include a variety of textured sides, fun sounds in each block -- rattle, crinkle or squeak, bright colors, fun pictures, and sponge filled for easy grasping. Styles and colors may vary. Spot clean with damp cloth. 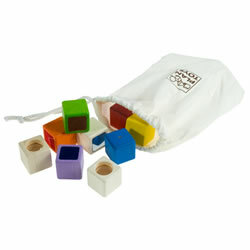 Set of 4 six-sided blocks. 6 months & up. 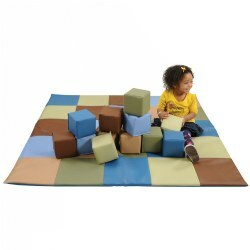 Young children will love to explore the soft shapes and graduate to sorting and manipulating the shapes through the correct hole. 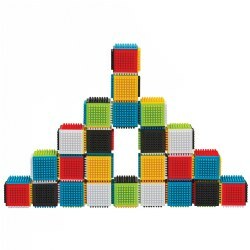 This repetitive actions helps to develop hand-eye coordination and dexterity. 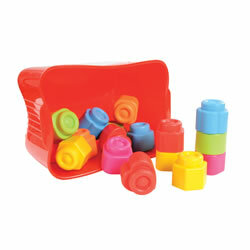 The shape sorter includes 18 soft shapes and storage container with a shape-sorting top.